Infection which mainly spreads through dirtiness, dirty water, unclean fingers, flies, dust-smoke is called eye-flu. It causes redness, itching, discharge (watery or thick) crusting that forms overnight, sensitivity to light and a gritty feeling in the eyes. Its a normal phenomenon that during the summer season the eyes get dries up. 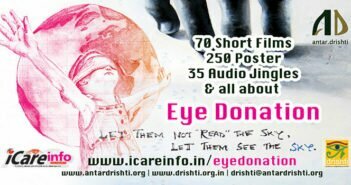 Due to excessive use of computer, increasing pollution, getting used to AC, intake of medicines like painkillers, high blood pressure and some others increases chances of dryness of eyes, resulting in itching, burning sensation, irritation and pricking. Precautions are to regular washing of eyes with cold water and to take eye drops on the consultation with the doctor. It’s a common disease occurring mostly during the summer season. There is regular pain in the eyes and fluid substances drains out of the eyes and eyes turns red. It should be treated immediately or else this disease spreads among others like an epidemics. This carries on from one person to other even if the unaffected person looks into the eyes of an affected person or even by touching affected person or using the handkerchief of the affected person. 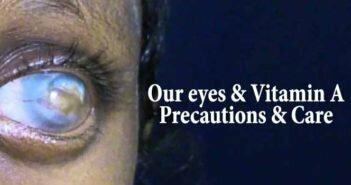 It is important for the affected person to continuously wash the eyes and not to use handkerchief, towel and other things of other people. Get consult from doctor and to take medicines as per the instructions and also wear black goggles so that the diseases don’t spread to other people. This is also another form of Eye-Flu and the affected person gets pricked from scorching sunlight or bright lights. 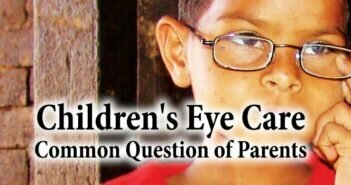 The affected person can’t open the eyes properly and there is pain and tiredness in eyes.